Pianists Gisèle Grima and Erika Gialanze` will be joining forces and present us with a challenging programme entirely made up for four-hands and one piano. The programme will include the Fantasie in F Minor by Schubert, Petite Suite L. 65 by Debussy and Slavonic Dance in C Minor by Dvorak. 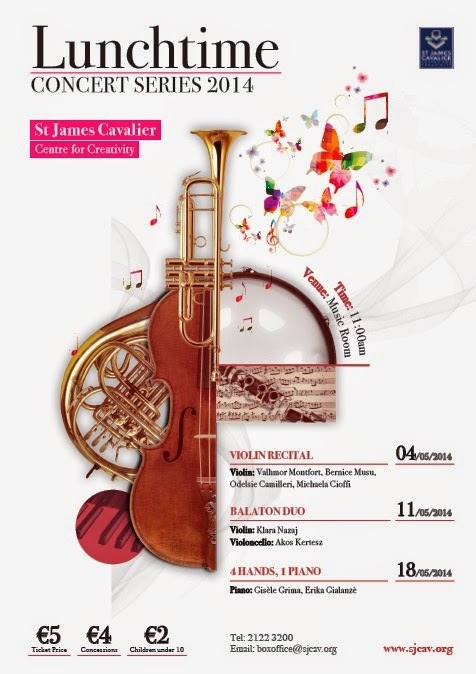 Gisèle Grima is a graduate from the Royal Northern College of Music, Manchester and Napier University, Edinburgh. She has rapidly established herself as a prominent performer appearing around Malta, Sicily, Finland, Iceland, South-West France, Syria, Manchester, Edinburgh and London. Gisèle studied in Malta with Josianne Vella Bardon, Lydia Buttigieg and Maria Dolores Amodio Chircop. Between 2003 and 2009, she furthered her music studies with Nicholas Ashton, Lauri Väinmaa, Tiina Kärblane and Paul Roberts. Gisèle is the recipient of scholarships including those from the MGSS, the Janatha Stubbs Fund and Dr. Ian Tomlin. At the RNCM, she was awarded the William Humphreys Dayas Prize as a result of her success to place as a finalist in the highly competitive Piano Recital Prize. In May 2010 she made her début as a concerto artist with the Malta Philharmonic Orchestra performing Ravel’s Piano Concerto in G major under the baton of Michael Laus. Gisèle has also received training from Franco Foderà, Brian Schembri, Cynthia Turner, Carole Presland, Dina Parakhina, Graham Scott, Dmitri Rachmanov, Iris Senturker, Phillipe Cassard, Harold Gray, John Lill, Julius Drake, David Jones, Pavel Fischer and Ian Brown. Erika Gialanze started piano lessons at an early age under the guidance of the late Tessie Portelli, completing all examinations of the Associated Board of the Royal Schools of Music. After furthering her studies, she then obtained the LRSM diploma and was recommended for a scholarship. She also studied under the guidance of Karen Briscoe White, Anna Scicluna Bisazza and Mro. Michael Laus. 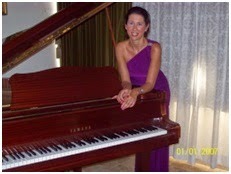 In 1998, Erika graduated with a Bachelor of Arts (Honours) in Music Studies from the University of Malta where she majored in Piano Performance and in 2007 she obtained a Master of Music degree in Piano Performance. 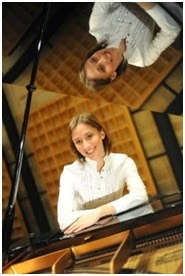 She has attended piano master classes given by Mro. Franco Foderà and Brian Schembri. Erika has performed in various competitions and recitals including chamber ensembles with members of the Malta Philharmonic Orchestra. She was also invited to play at the President's Palace in Malta as well as the representative building of Saarland in Berlin at the invitation of the Ambassador of Malta in Berlin.